What’s not to love about the Prince Resort? 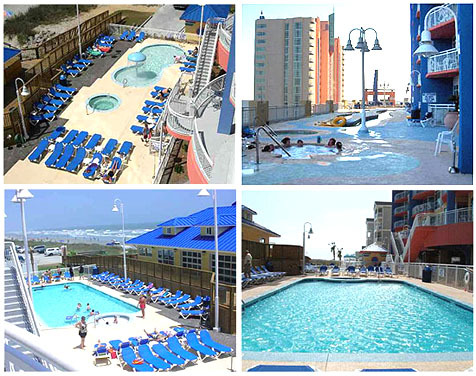 A superb location adjacent to the Cherry Grove Pier, fantastic views of the Atlantic Ocean and surrounding marshes, and plenty of high-end amenities and features make the Prince Resort a crown jewel in North Myrtle Beach. 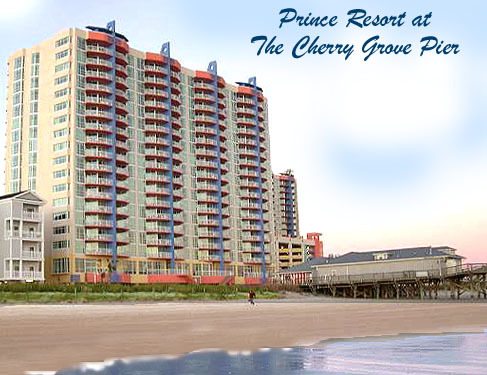 Read more about Prince Resort real estate. An art deco style greets you as you enter either of the Prince Resort’s two, 19-floor, oceanfront, high-rise towers. These brand new luxury accommodations are situated on the quiet, north end of the Grand Strand, yet are still located near many famous attractions and fun North Myrtle Beach. 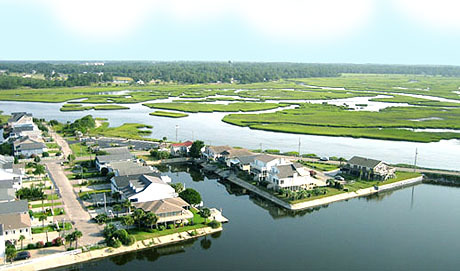 Beautiful views of the natural marshes of the Cherry Grove Inlet and the gentle surf of the Atlantic Ocean are afforded from the private balconies of the one, two and three-bedroom suites of this North Myrtle Beach condo. Perhaps best of all is the nearby Cherry Grove Pier, where beautiful renovations have brought this historical pier back to its original splendor. Plenty of fun and excitement can be found just minutes from the doorstep of the Prince Resort, including spectacular, championship golf, world-class shopping and loads of casual and fine dining options. All of the suites of the Prince Resort feature spacious, open floor plans with expansive, oceanfront balconies and floor-to-ceiling windows. The professionally designed interiors include designer furniture packages, designer countertops, garden tubs and designer fixtures, and ceramic tile and plush carpeting flooring. Each suite also includes high-speed Internet access, a fully equipped kitchen, televisions in all bedrooms and the living room, and a washer and dryer. The on-site restaurant at the Prince Resort, the 3500 Ocean Grill, serves an upscale fair, as well as beautiful a view of the surrounding waters. The 3500 Ocean Grill is open daily for breakfast, lunch and dinner.